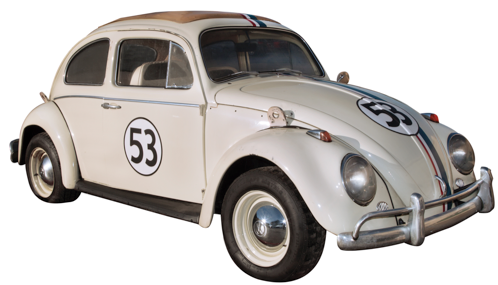 LOS ANGELES- May 15th, 2018– Profiles in History is proud to announce some of the most famous vehicles in film and TV history will be going up for auction at their Icons & Legends of Hollywood Auction. 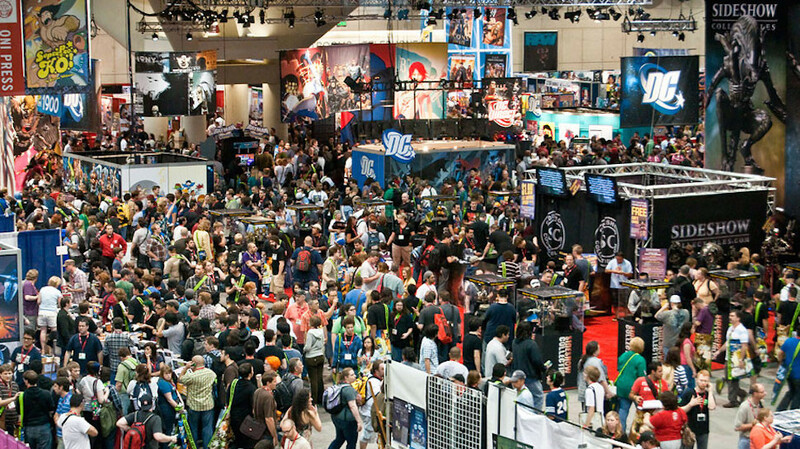 Set for June 5th, 6th, 7th & 8th in Los Angeles. The screen-used Colonial Marines “Drop-ship” filming miniature fromAliens. This 1/12th scale Drop-ship filming miniature was constructed at Pinewood Studios in 1985 for James Cameron’s Aliens. The Colonial Marines Drop-ship is forever ingrained in science fiction lore as one of the greatest plausibly realistic space vehicles. It is pictured above and estimated to sell for $150,000 – $200,000. The 1973 “Herbie” Volkswagen Beetle from Herbie Goes Bananas. This is not just a car, but a full-fledged character! A fantastic, instantly recognizable film car (and character!) It is pictured right and estimated to sell for $80,000 – $120,000. Rowan Atkinson’s yellow “Mr. Bean” British Leyland Mini 1000 from the 1997 film, Bean. It is pictured below and estimated to sell for $60,000 – $80,000. Luke Perry “Dylan McKay” 1964 convertible Porsche from Beverly Hills, 90210. This is Dylan McKay’s ultra-cool black 1964 convertible. It is pictured below and estimated to sell for $60,000 – $80,000. Richard Gere “Zack Mayo” 1978 Triumph Bonneville 750 from An Officer and a Gentleman. 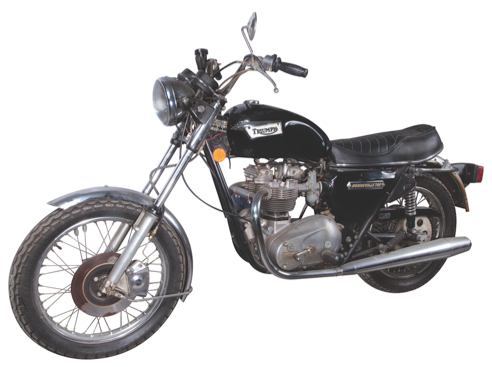 This is one of two Triumph Bonnevilles used during production by Richard Gere as naval aviator hopeful Zack Mayo in the wildly successful Academy Award-winning romantic drama. It is pictured below and estimated to sell for $30,000 – $50,000. Jupiter-1 spacecraft hero filming miniature from Lost in Space. The massive Jupiter-1 spacecraft was used to launch the smaller Jupiter-2 into orbit in the 1998 feature film. It is estimated to sell for $30,000 – $50,000. They also have The Jupiter-1 spacecraft large upper section filming miniature fromLost in Space. It is estimated to sell for $20,000 – $30,000. 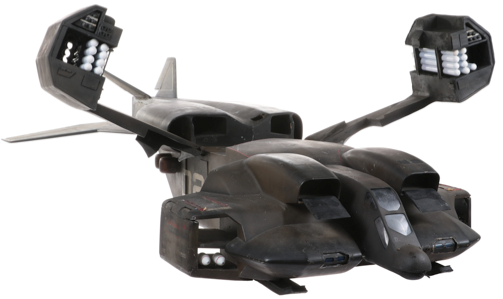 The “Saracen” screen-used tank prop vehicle from the 1995 film of Judge Dredd. This is the original full size Saracen Tank prop. It is estimated to sell for $30,000 – $50,000. The Lawmaster screen-used motorcycle from the 1995 film of Judge Dredd. The Lawmaster is a Judge’s primary form of street transportation. It is estimated to sell for $20,000 – $30,000. 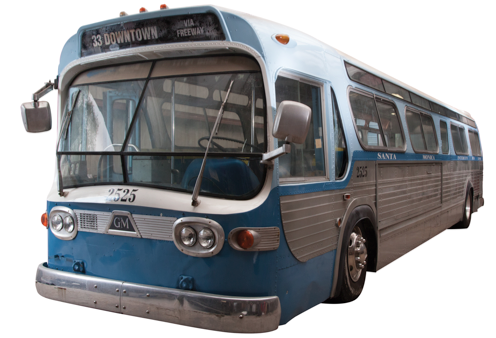 The screen-used GM Bus “2525” from Speed. This is the General Motors city bus used for principal filming. As much a character as any of the human cast, this bus is the central set piece for the conflict in the blockbuster movie when terrorist “Harry Payne” (Dennis Hopper) rigs it to explode if it drops below 50 MPH. It is pictured below and estimated to sell for $20,000 – $30,000. Vernon Wells “Wez” post-apocalyptic custom motorcycle from Mad Max 2: The Road Warrior. This is the motorcycle used by Wez, the lead biker marauder with the Mohawk hairstyle in George Miller’s classic sequel to Mad Max. Estimated to sell for $15,000 – $25,000. Mike Myers’ “Wayne Campbell” and Dana Carvey “Garth Algar” 1972 AMC Pacer Convertible from Wayne’s World 2. It is estimated to sell for $3,000 – $5,000. Charlton Heston’s chariot from Ben-Hur, estimated to sell for $120,000 – $150,000. Arnold Schwarzenegger’s screen used “Terminator” Harley-Davidson motorcycle fromTerminator 2: Judgment Day, estimated to sell for $200,000 – $300,000.